Dinakaran Vs Anbazhagan catches fire! Sri Ramachandra Murthy January 14, 2019 12:31 IST Dinakaran Vs Anbazhagan catches fire! DMK senior Member J.Anbazhagan said that, irrespective of TTV Dinakaran attacking DMK, he will get imprisoned. Amma Makkal Munnetra Katchi leader TTV Dinakaran and DMK President MK Stalin have been attacking each other in recent times. DMK attacks through Murasoli paper and TTV uses Twitter to attack. Recently, Dinakaran tweeted trolling Grama Sabha meeting conducted by Stalin saying he must have did this when he was local administration minister, instead of now behaving like a fish seller. In reply DMK MLA J.Anbazhagan tweeted that, Dinakaran's strategy to get closer to BJP by attacking DMK to be free of his criminal cases, won't stop him from getting imprisoned. 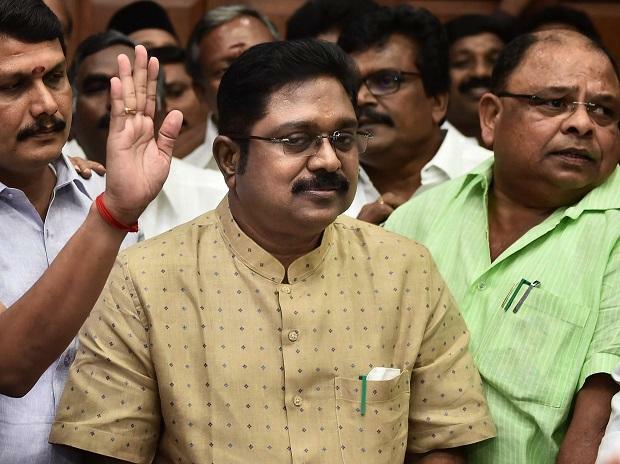 Calling Dinakaran as a 20 Rupees MLA, Anbazhagan said when Dinakaran was inactive, DMK government did good rule and he can read Thamizharasu book to know govt achievements, and Dinakaran's achievements will be in case books.The war between AMMK and DMK has grabbed everyone's eyeballs right now. Let's see where this war of words ends at.